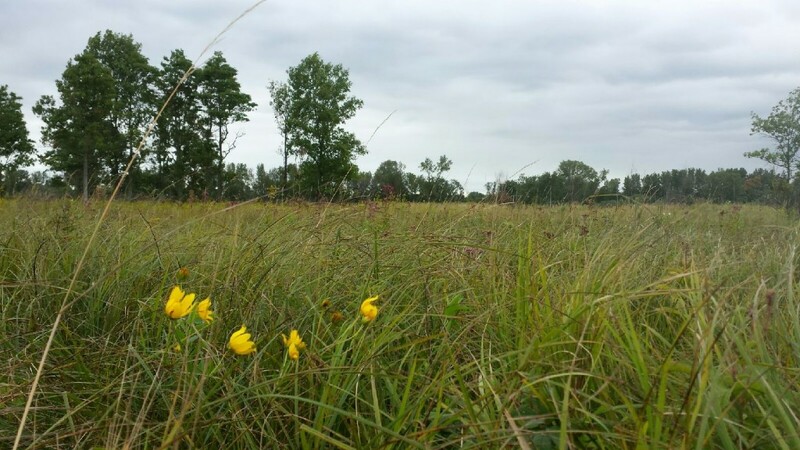 Calumet Prairie/ Ivanhoe South | ENCAP, Inc.
Calumet Prairie is 166 acre dune swale wetland that is home to many high quality, threatened and endangered species. Ivanhoe south is 35 acres of Dune Oak Savannah and Swale wetland harboring many high quality native species. This contract included several phases: large scale tree and shrub removal, initial invasive species removal, introduction of prescribed burning, and long term establishment. Large scale tree and shrub removal could only be done in the winter. Given the extremely wet nature of the site, work was only allowed on certain days to prevent soil disturbance.Fellerbunchers, skid loaders andtracked hauler low psi equipment were used for clearing activities as well as chainsaws. All designated trees and shrubs through the 100 acre removal areas were removed ranging from less than 1” to 48” DBH. Brush was burned on site while large logs were hauled off site for disposal. All stumps were treated with triclopyr based herbicide;Element 3a where wet and Tahoe 4e in uplands. Initial invasive species removal was conducted entirely with backpack sprayers and backpack wicks. The site included large areas of Reed Canary, Cattails, Phragmites, non-native Thistle, Purple loosestrife, woody resprouts, garlic mustard, and sweetclover. Invasive patches were treated with a combination of broadcast, spot and wick applications depending on the proximity of high quality species. Each patch was evaluated and treated with the method that would preserve the most native species. 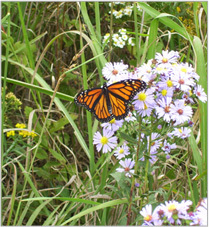 Selective herbicides were used to reduce damage to native species wherever possible. Primaryherbicides used were Element 3A, Aquaneat, Milestone, and Poast. Each site was to be burned in phases to prevent loss of pollinators and endangered amphibians present on site. Encap prepared a burn plan that included the division of burn areas for each site, which units were to be burned in spring and fall, and appropriate safety measures needed for the burns. Scheduled burns were executed successfully. Wind direction was the greatest factor given the sites are in urban areas and are in close proximity to interstate highways. All burn breaks and burn operations were done with hand equipment such as weedeaters, leaf blowers, backpack sprayers, drip torches, and flappers. No mechanical equipment was used in the project area. Long term establishment is an ongoing task. As new invasive species colonize areas that have been opened up due to previous invasive removal or shade reduction, they are identified and treated using backpack, spot, or wick applications to remove the invasives while preserving any of the natives beginning to re-colonize the same areas. The same herbicides were used as in the initial treatments. All areas currently meet performance standards and the project is exhibiting success towards its goals.